During today's Q2 2015 earnings call, Apple CEO Tim Cook announced that the App Store saw its best quarter ever, with 29 percent growth year over year. The entire services category, which includes the iTunes Store, App Store, Mac App Store, iBooks Store, AppleCare, ApplePay, licensing, and other services also reached a record quarterly revenue of $5 billion, up 9 percent year over year, with growth largely coming from the App Store. 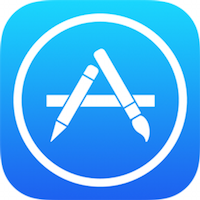 According to Apple CFO Luca Maestri, the App Store remains "incredibly popular" with customers around the world, and in the March quarter, it saw 70 percent more revenue than Google Play. Apple also an update on HealthKit-based apps, which are part of Apple's recent health and fitness initiative, aggregating all of a user's health and fitness data. According to Cook, HealthKit has been highly successful, and there are now 1,000 HealthKit-based apps in the App Store. Along with HealthKit, Cook also touched on apps for the Apple Watch. There are now 3,500 Apple Watch apps available for download. Cook said customer response to the Apple Watch was "overwhelmingly positive" and that Apple "can't wait to see more inspiring apps" for the Apple Watch as we creep closer towards the 2015 Worldwide Developers Conference. Hearthstone coming out for iPhone is probably one of the best things that have happened so far.